This is a little like prehistory, because almost nobody in America then had heard of the Rolling Stones - or the Beatles. At Jane Holzer’s dinner I’d noticed (David) Bailey and Mick (Jagger). They each had a distinctive way of dressing: Bailey all in black, and Mick in light-colored, unlined suits with very tight hip trousers and striped T-shirts, just regular Carnaby Street sport clothes, nothing expensive, but it was the way he put things together that was so great—this pair of shoes with that pair of pants that no one else would have thought to wear. And, of course, Bailey and Mick were both wearing boots by Anello and Davide, the dance shoemaker in London. Andy Warhol & Pat Hackett - POPism. The Warhol Sixties. 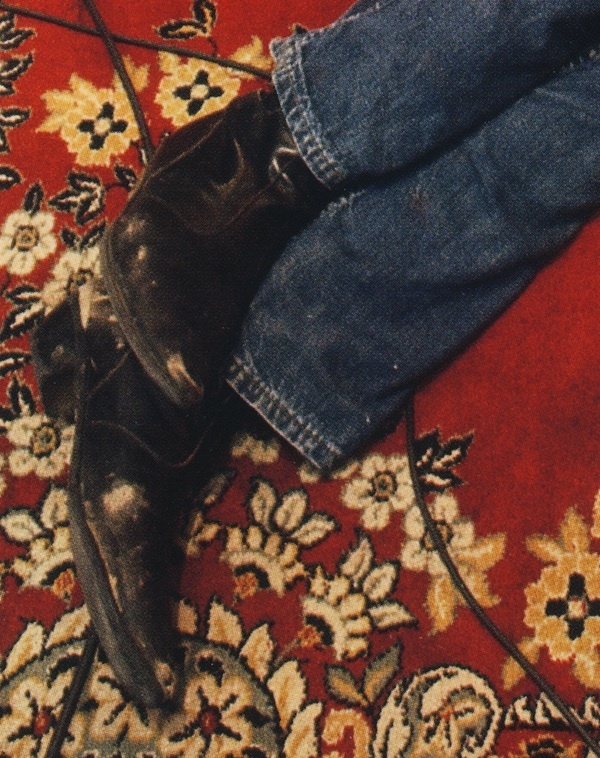 … partly it was his (David Bailey) bohemian style Cuban-heeled boots, jeans, leather jacket and hair over the ears – all before the Beatles had been heard of; partly it was his aptitude for the craft. Ready, Steady, Go! Swinging London and the Invention of Cool. My first experiments were a failure, as the manufacture of elastic materials was not so perfect as they are at the present period, and the necessary elasticity cold not be gained in any material I could meet with. The difficulty was to get an India Rubber Web so elastic that the boot would go on and off, and yet not so soft and yielding as that it would not return again to its original form — my object being not only that but that they should "sit plain," and "fit fetously," as well after they were on. Her Majesty has been pleased to honor the invention with the most marked and continued patronage; it has been my privilege for some years to make boots of this kind for Her Majesty, and no one who reads the court circular, or is acquainted with Her Majesty's habits of walking and exercise in the open air, can doubt the superior claims of the elastic over every other kind of boots; it has been well remarked "the road to health is a foot path." 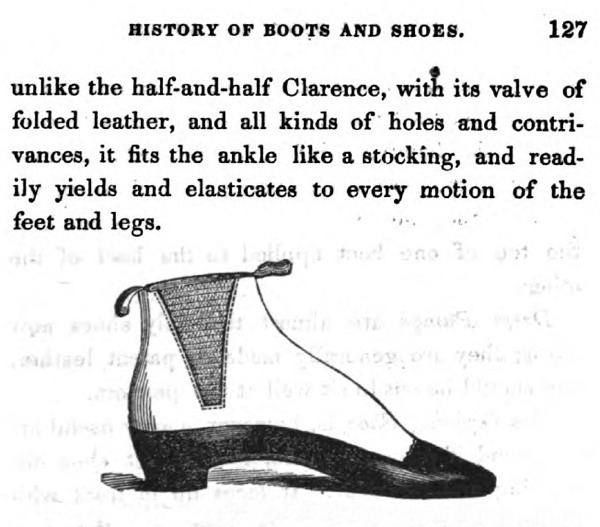 The Elastic Boot for Gentlemen, is a light and easy article; it does not encumber the leg, and unlike the half-and-half clarence with its valve of folded leather and all kinds of holes and contrivances it fits the ankle like a stocking, and readily yields and elasticates to every motion of the feet and legs. 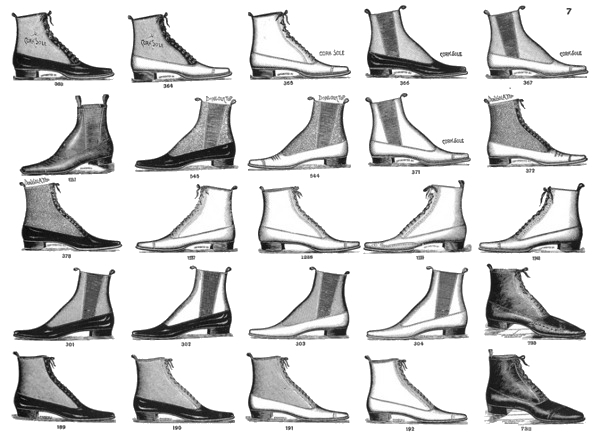 The cut represents an elastic boot with a golosh of leather all round, the upper part being cloth, silk, prunella, cashmere, kid, or the silk stocking net; the material generally determining the kind of boot it is to be, and the thickness of the sole. I must say that, considering our relative youth and great inexperience, we were a pretty hot act for the time. 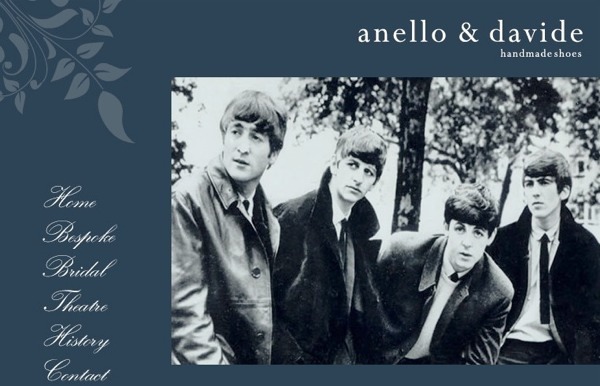 As a band, like a thousand others, we all went to a shoe shop called Anello & Davide and got ourselves Beatle boots, which were basically Spanish dancing boots (they're also known as Chelsea boots). They were a cool thing before the Beatles, but afterwards they were mandatory. When Runciman enquired about their ‘different, unEnglish style clothes’, John (Lennon) said ‘We’re all mad about clothes – they’ve got some great styles in Paris’, and then they all showed him their boots. 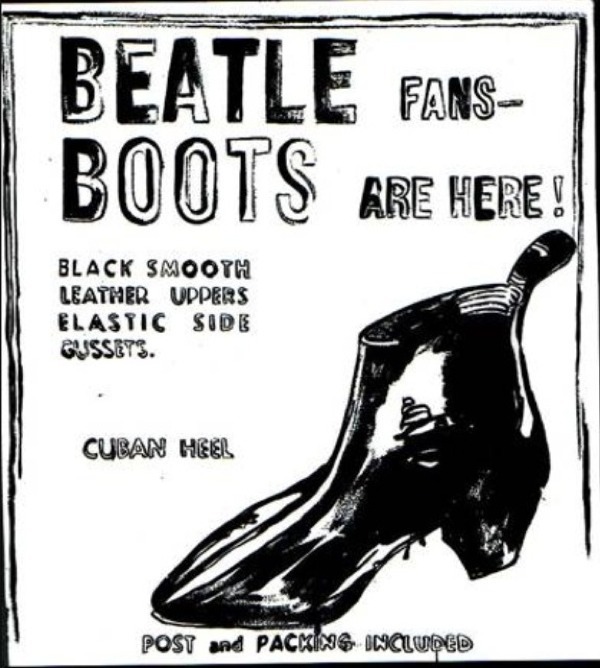 Handmade at Anello & Davide, these were describable several ways – Spanish flamenco, Chelsea, elastic-sided, pointy-toed, Cuban-heeled – but were becoming one thing: The Beatle Boot. And here were eight of them. 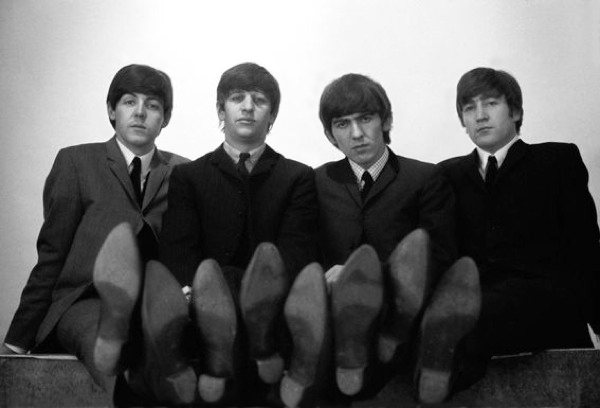 But in The Beatles Anthology book George (Harrison) added, ‘The first pair of those boots I ever saw was on that [Decca] trip.’ The Beatles weren’t the first pop musicians to wear such boots (not that they ever claimed otherwise). There are several examples to prove this - one being the back page of the NME, 2 December 1960, which has a photo of Cliff Richard trying on ‘a lightweight Toreador ankle boot’ brought back to London for him from Italy. The Anello & Davide boot seen by the Beatles was similar, designed for flamenco steps. It wasn’t until 1963, when I was eighteen, that I had enough money set aside to splash out on a deeply longed-for pair of leather Chelsea boots from Anello & Davide in Covent Garden. I was proudly wearing these, thinking that I looked rather special, when I stepped into a coffee bar in Muswell Hill, only to find another bloke wearing an identical pair. His name was Ewan Dawson and we bonded over our boots. We became firm friends and fellow adventurers for many years thereafter. “I was careful about what I wore. From our second gig on—no shirt, pair of tight, slim jeans, bare feet, and I had permed hair and a white, painted face. By the third or fourth gig, I lost the perm and white face, and I started wearing the same pair of shoes that you can see in every photo of the Stooges from mid-’69 to the end of ‘71. The only thing that both of our outfits had in common was the handmade Chelsea boots with Cuban heels that my father always wore and then passed down to me once they were a little scuffed but still serviceable . . . until I grew taller than him and my feet got too big. In celluloid, the Chelsea boot found its way into movies as diverse as "Star Wars" and "Austin Powers"; it was also featured in the acclaimed TV series The Avengers. On record jackets, both The Beatles and the Stones didn't showcased them. 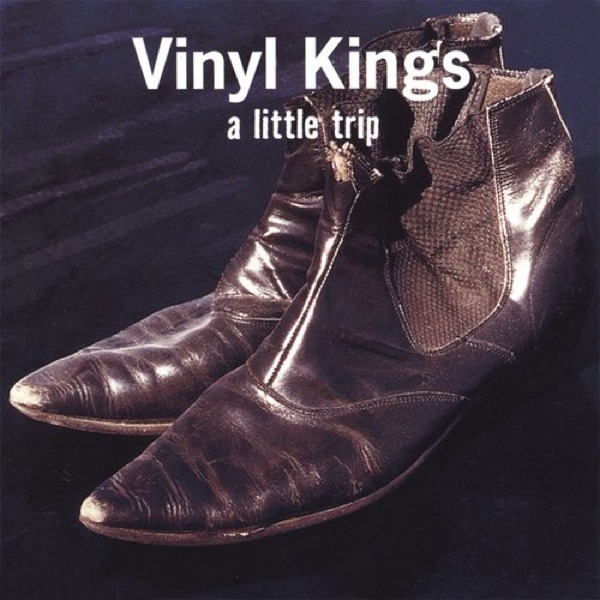 Others did though, like the Vinyl Kings. Nashville's Vinyl Kings grew out quickly from the cover-band phase and - being talented songwriters - they were sometime very, very close to the real thing. 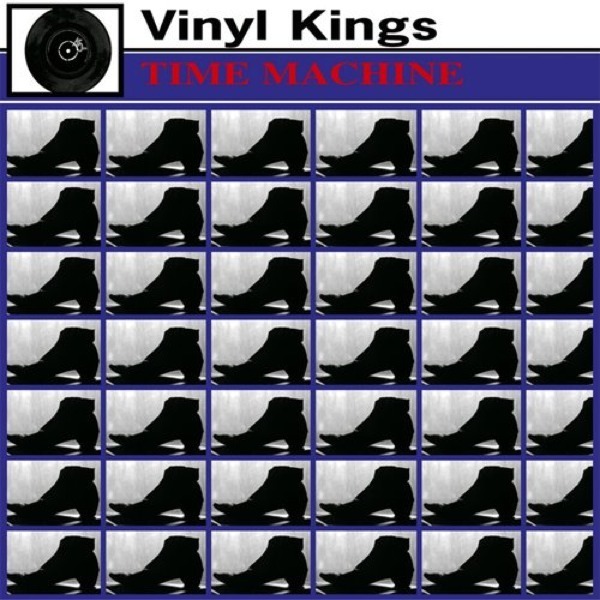 Also, a Beatle fan can only appreciate their clever tribute to "A Hard Day's Night" done with the album "Time Machine". 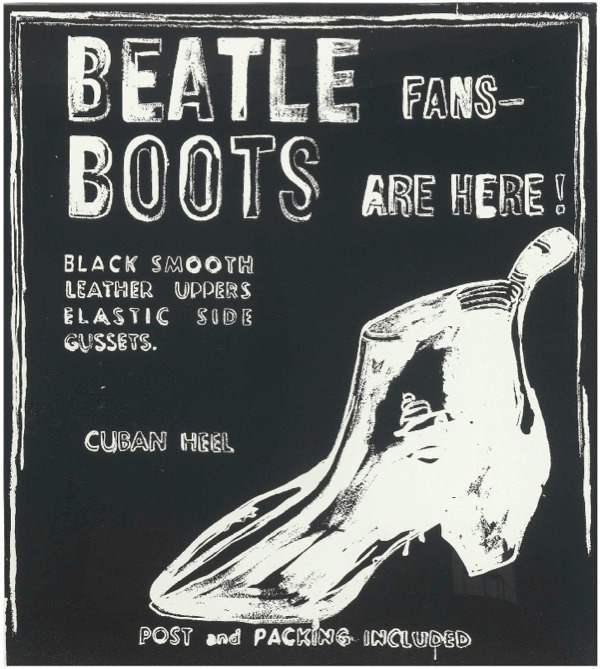 Closer to home - and before the Vinyl Kings - punk poet John Cooper Clarke and surf/garage rock band The Barracudas proudly showed their Beatle boots on record covers. More recently, Basque Country's Acapulco Gold Diggers displayed a well worn pair of Chelseas on the cover of the 7" EP "F.I.R.E" (2009), while Lie Detectors - also from the Basque Country - provides the perfect ending with the 7" "Chelsea Boots" (2015). 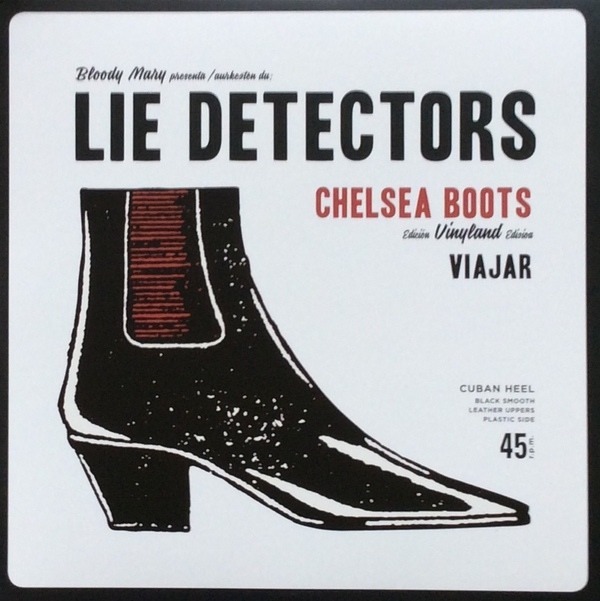 Lie Detectors - Chelsea Boots 7"
On the subject of boots and shoes, Mr. Sparkes Hall is quite au fait: and his pretty little book, by the evidence of research and taste displayed in its pages, is a sufficient guarantee that in his case the patronage of royalty has not been ill bestowed. 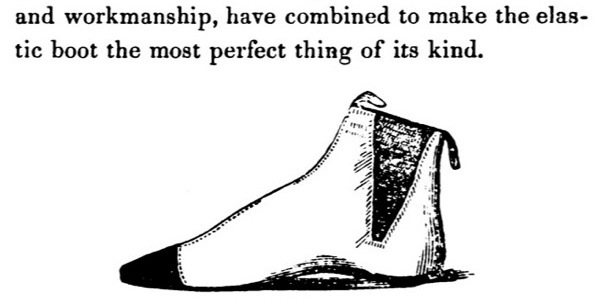 He has given us a history of shoes and shoe-making from the time of the Egyptians down to the present day … (that) will assuredly afford an hour's pleasant and instructive reading, in which the practical and the poetical are very judiciously and tastefully blended. The second edition of "The Book Of Feet" (1847) can be read online at HATHI TRUST. … and because they were invented for riding, they add just a little equestrian flair to your wardrobe. Trust me, horse people know clothes. It's never a bad idea to copy them. Off The Cuff. The Essential Style Guide For Men And The Women Who Love Them. In the mid-1950s, a group consisting of young artists, film directors, and socialists started frequenting the King’s Road area in West London. This group was named the ‘Chelsea Set’ by the media, and they made the name ‘Chelsea’ synonymous with a new way of living and dressing. 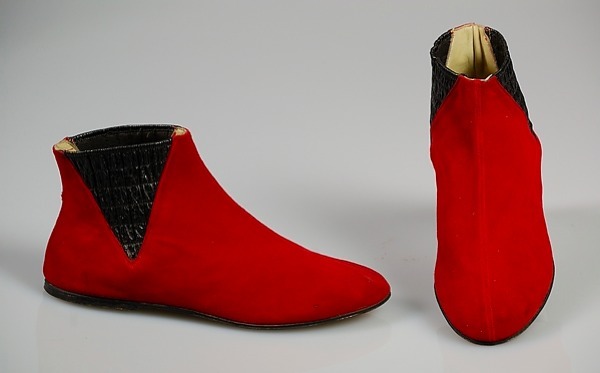 This group, which included well-known fashion icons Mary Quant and Jean Shrimpton, started favoring the Paddock boots and soon they began to be considered the ultimate leisure accessory and hence were renamed to Chelsea Boots.